Wolf spider carrying young spiderlings. 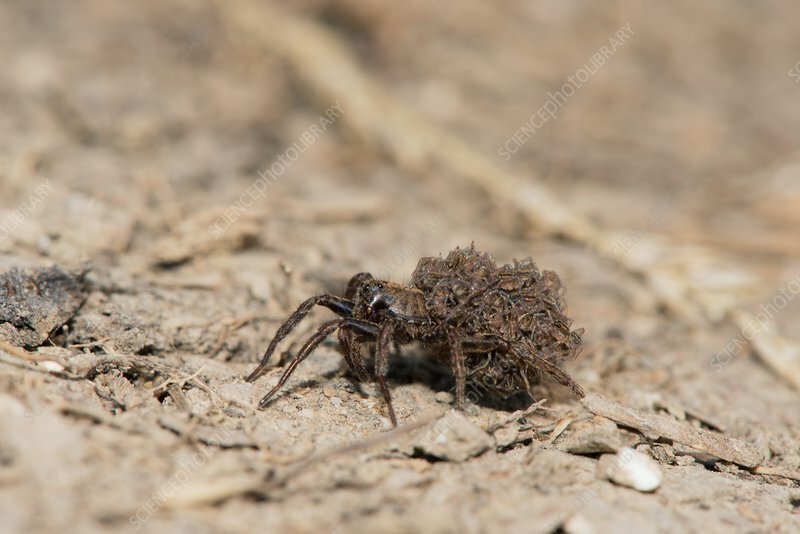 Female wolf spider (Pardosa amentata) carrying her young spiderlings on her abdomen. The female spins a spherical silk egg sac around her eggs and carries it around attached to her spinnerets until the young spiderlings hatch out. After the young have emerged from the sac and undergone their first moult, they climb onto her abdomen and are carried about by her for several more days. Photographed in the UK.